On Wednesday evening I attended a meeting of the Community Spirit Action Group this is a really good group which tries really hard to make a difference for their area. They have produced an informative leaflet which highlights some of the work they have done over the last couple of years. 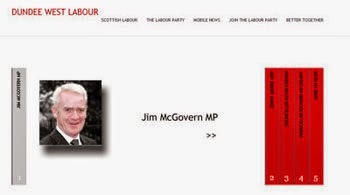 If you live in the Ancrum, Pentland, Benvie, Polepark, City Road, Milnbank or Brook Street areas you should be getting a leaflet through your door soon. There was some discussion about the on-going problems related to changes to the bus service in the area. These problems continue to make the case for further regulation of bus services in my opinion. People expect a public service from bus companies, companies serving the interests of shareholders find it difficult to provide a public service. This afternoon I was delighted to attend a British Sign Language taster session at Deaf Action in Roseangle. I caused problems by being the only left-handed person there, at least that is my excuse for being so slow on the uptake. I only learned a few very basic phrases today but it is important that as a local elected member I am able to offer assistance to all of my constituents. I am keen to work with Deaf Action and any other organisations for deaf people to ensure that they receive the support that they require. 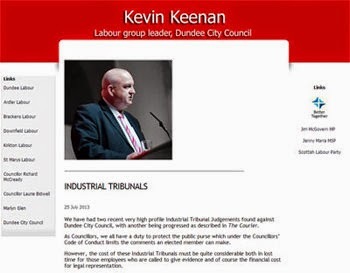 If you are deaf and need help from your local councillor please get in touch with me and I am happy to make arrangements for whatever support you require to access your local councillor. 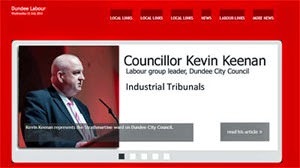 I'm not sure that councillors receive adequate support to ensure that they are accessible to all of their constituents no matter what the disabilities of their constituents are. Thanks to Petra who tried her best to take me through some of the basics of British Sign Language. St John's Bus Issue- Meet the Parents! Yet again I'm calling for action over the issue of buses to St John's High School. 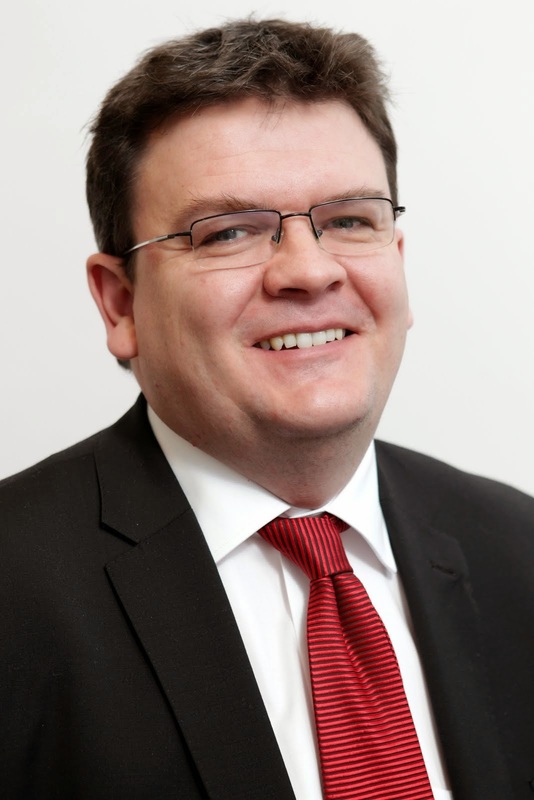 I'm concerned that so-far the Administration of the City Council has refused to meet with parents, I am particularly concerned that the Council has refused to meet with the statutory body representing parents namely the Parent Council. The report which was in The Courier this morning caused me a great deal of concern. I find it hard to believe that the Administration have not agreed to meet Monsignor McCaffrey or parents from St John's to discuss how to find a solution to this problem. It all begs a very simple question - why? I am surprised by the statement by Dundee City Council in today's press that the Council does not subsidise school bus services, there is a subsidised bus service to St Paul's Academy. (See council report 325-2011 this service costs £44,840 per annum) The City Council also subsidise a number of bus services throughout the city based on their 'social' usefulness, surely buses that take pupils to school serve a useful purpose. I was shocked at the recent council meeting when Monsignor McCaffrey was ruled out of order for having the temerity to ask about bus transport to schools. But it is more shocking that the council is refusing to engage with parents. Parents are the first educators of their children and have an important role to play in supporting the school. Parents in the West End are trying to support the school by ensuring that their children get to school on time and are able to do their homework in the evenings. Why is the partnership between the council and the parents not being taken seriously by the council. As a local councillor I want a solution to this problem, the Administration should meet with parents and be prepared to look positively at ways to secure a bus service to St John's. Local people, sending their children to a local school deserve no less. I am concerned about the plans to raise car parking charges at Ninewells Hospital in the West End ward. I have been campaigning against the charges at Ninewells for some time. The Scottish Government believes that there should no charges for car parking at hospitals but allows charges to remain in Dundee. I think that the car parking charges at Ninewells continue to cause real problems. These changes to charges will have a real impact on staff members, many of whom are not receiving pay increases. Visitors and staff attempting to avoid the charges cause parking problems in the West End and on the other side of the hospital in Menzieshill. Charging for car parking at Ninewells was a mistake and it is no use focusing on the history of who did what and when but rather we should be focusing on the way ahead. The Scottish Government says that car parking should be free at hospitals, they should implement their own policy in Dundee. I would be happy to work with anyone to achieve the goal of abolishing car parking charges at Ninewells. There is no such thing as a free car parking place, costs are involved. Through our taxes we are all paying for free car parking at hospitals across Scotland, in places such as Perth. The difference is that people using Ninewells Hospital do not benefit from free car parking. Ninewells Hospital does have good public transport links and these should be encouraged, but public transport does not always suit the hours of some people working in this vast complex. For some people who are visiting as patients it may not be appropriate for them to use public transport. All I want for the people I represent is equity. 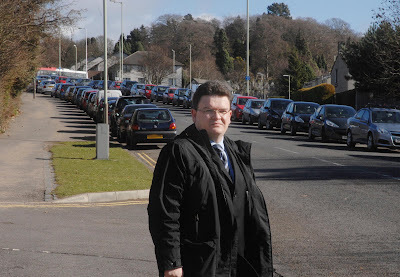 The photograph shows cars parked in Ninewells Avenue avoiding the charges. There are reports of yet more vandalism in Balgay Cemetery. I am appalled to hear reports of more vandalism in Balgay Cemetery. This is disgraceful and there can be no excuse for vandalism. I have asked the council to do all it can to ensure that vandals are stopped. I know that the police are also doing their bit on this issue. The vandals must be stopped. I would urge anyone with any information to contact the police. Balgay Cemetery should be vandal free and those who vandalise gravestones should be ashamed of themselves for the distress they are causing. As the photograph shows Balgay can be a beautiful and peaceful place, a mindless minority should not be allowed to ruin that for everyone else. 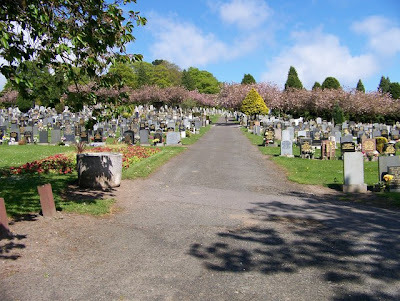 '>Balgay Cemetery, Dundee by Elliot Simpson and is licensed under Creative Commons. Tonight I attended a Mass and Reception to celebrate the 150th Anniversary of Italian Unification. The event took place at St Andrew's Cathedral in the Nethergate. 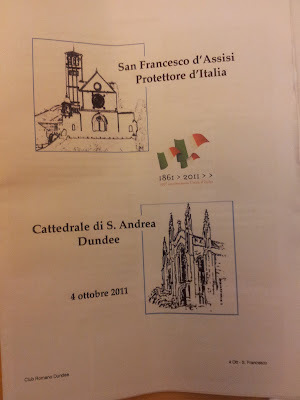 The Italian community in Dundee have played a significant role in the development of Dundee in the last century or so. Dundonians also have a love for all things Italian, especially the food! Today was the Feast of St Francis of Assisi, he is the patron saint of Italy. He is also worthy of remembering given his commitment to peace and to the environment. 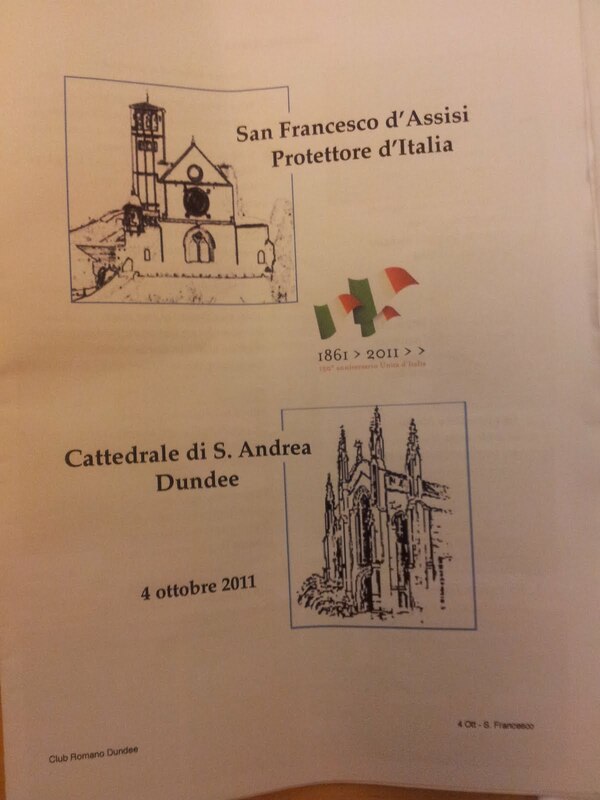 At the Mass Canon Aldo Angelosanto spoke about the Risorgimento and the unification of Italy. He pointed out that the Catholic Church had not been in favour of Italian unification in the nineteenth century. It is interesting to note that in the 1850s and 1860s Rev Dr Stephen Keenan, one of Dundee's priests preached against Italian unification in the same church. Indeed there is a large memorial to Dr Keenan in the Cathedral. Canon Aldo drew attention to the legacy of St Francis in promoting peace and how his legacy is used to promote peace up to the present day. 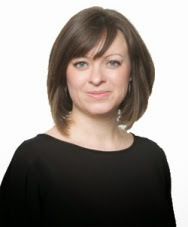 Bailie Rod Wallace represented the Lord Provost and the city at the event and spoke at the reception about the contribution of the Italian community to the city of Dundee. He also spoke of the popularity of Garibaldi in Dundee in the 1850s and 1860s. This was a very interesting celebration which was partly organised by the Club Romano which represents the Italian community in Dundee, and is based in the West End. Last week the City Council agreed to carry out a consultation on changes to the school day in secondary schools. This would standardise the school day across all the secondaries in the city. In principle I don't have a problem with these proposals, I do, however, think that there are some practical concerns that need to be faced up to before these reforms are implemented. Issues like how do parents deal with the plan to have the school day finish at different times on different days of the week. Will bus companies be able to deal with these different times? The Council should be making a big effort to include as many people as possible in the consultation which is taking place. 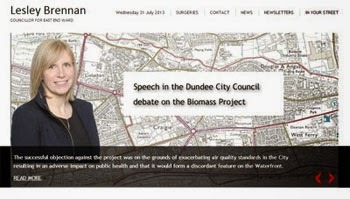 You can read the committee report which was agreed last week here (pages 3-7), please let the council know your views. The City Council must listen to voices of parents and pupils on this important issue.